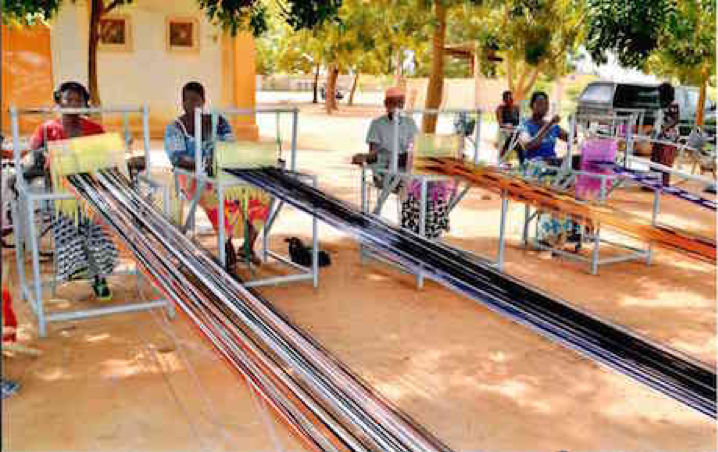 Rockflower is pleased to announce a new partnership with Association Burkinabé des Femmes Battantes (ABFB) over the next 12 months to install a weaving/dyeing loom in Godin village. The ABFB was created in 2008 by a group of women who recognized a common desire to fight for the development of women. The organization now has 300 members, based in Ouagadougou with five auxiliary groups. The organization has 812 beneficiaries, with programs to produce and process shea butter, chicken farming, weaving and dyeing, education on hygiene and sanitation, fighting HIV, and the promotion of human rights with special emphasis on the rights of women and children. Find out more about the Weaving and Dyeing Project.